How Can the Elderly, Disabled or Teens Get from Here to There When They Do Not Drive? 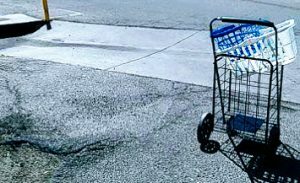 Have you thought about how people get to the grocery store or to an appointment when they can’t or should not drive themselves? I think getting from here to there is too often taken for granted in the US currently. Transportation can be a bit challenging for people who have diminished mobility or decreased vision. 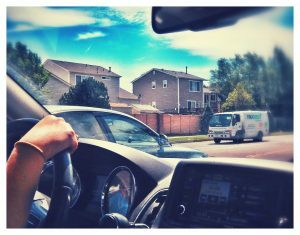 Driving a car spells INDEPENDENCE for most Americans in this day and age. Have you considered offering to run erands for an elderly neighbor or someone who doesn’t drive due to a disability? 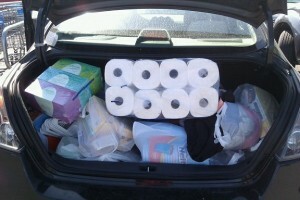 Having a car is convenient when your shop for groceries. Tip: Avoid unloading groceries in a closed garage with motor running. To some it may seem like the end of the world to stop driving a car, but it is not the end. Rather the aternatives to driving can be viewed as beginning a new life adventure for those who are willing to try something new. it may help to know some options on your own local tranportation. I wish it was as easy as it seems. soemtimes there are barreirs to mobility. This post will be verbose in sharing some basic pros and cons ideas on public transportation for the beginner. Since the inception of ADA the doors of opportunity have opened for people who traditionally had been isolated at home or institutionalized prior to 1970. Decades have passed since Americans With Disabilities Act, but alternative transportation for many Americans is still not an affordable option is every community. 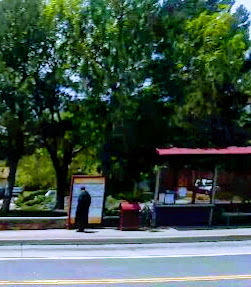 In more populated communities there are means of public transportation. I hope to raise awareness of the rising transportation crisis in America for the countries aging population as well as the disabled including disabled veterans. Every man, woman and child may not be aware that they can really get from here to there without owning car. You just have to be more prepared. We Baby boomers are not getting any younger; we are living longer; leading active lives. This fact applies our stubborn parents who survived the Great Depression. (This is another post.) Most of my baby boomer peer’s children and grand children never had to walk 5 miles to school in a school storm like we did. I am not joking when I say the teenagers who expect car keys, need to learn how to ride the city bus first. Just because most of us older grown-ups have not been one to be dependent on any one before in their life. They has historically survived due to sheer stubbornness. This fact does not mean we all should continue to drive a car. Driving is a privilege, not a right. Some times for some people it is hard to give up the privilege. Just because all the other kids at your child’s school get to drive a car doesnt mean your child should not learn how to be independant even if they have they have to get experience in knowing how to take a bus instead of being chauffereured. Start a new trend by taking the bus. Besdies when the kids go off to college they problaby won’t get ot have a car on campus, anayway. Do you or your children know how to take a city bus in an emergency or when the car won;t start? With the rise in baby boomers still being capable of holding down a job outside of home with later retirement; injured veterans who want to continue to be productive; or people who, for what ever reason can not drive, affordable transportation may be a viable option, not a punishement. But, alternatives to not driving a car such as public transportation may be at a premium if available at all. When availalbe public transportation is far more cost effective than having to pay parking fees during working hours. This an inside view of a paratransit van. Seats may be in place for 8 to 12 passengers. Or seats may be raised in order to fit up to 4 or 5 wheelchairs depending on the size of the chairs and the van. Wheel chairs are secured with straps like seat belts. The tracks on the floor are part of the locking mechanism for the strap anchor. What IF you can no longer get from here to there the way you used to? Do you have a plan? Staying home is not a long term option for most people, unless you can have supplies delivered to your door or are independantly wealthy enough to have servants do everthing for you. Sometimes I have organic food delivered to my door. Since my son is home bound I have large boxes of medical supplies also delivered. I can not possibly carry heavy boxes on the bus. I still need to buy groceries and get to appointments. Personal Note: I, the No Non-cents Nanna was born in 1950 in a small rural community in Iowa. I know most of my readers are age of my adult children who are beginning to face the fact that you will have to give your parents “the talk” sooner or later. This post very well informed opinion on transporation for those who don’t drive their own car. I don;t want to be a burden on my daughter to take me places.I gave up driving due to visions issues. Sometimes, I AM without a doubt a royal pain in the behind. i make every effort to plan my trips. Not driving is inconvenient for me. But far less a problem than it is if I don’t see something like a person and run into them with a car. Drivig a car is a privelge not a right. Are your willing to admit when you should not longer drive a care? Shoudl you or should you not give rides to friends and neighbors? Shou;d ask for a ride? The DMV is more than happy to have me off the road. My son who has progressive MS and visual impairment needs means of transportation as well. It is a challenge to find affordable vehicles that go to every place we need to go to that can accommodate the large wheelchair specially built for this 6‘ 2” man with long legs. I wish I could take myself and drive a wheelchair accessible van to haul my son here to there. Depending on where you lie there may be city owned or privately owned vans that can transport patients to medical appointments dialysis; hair cuts shopping. 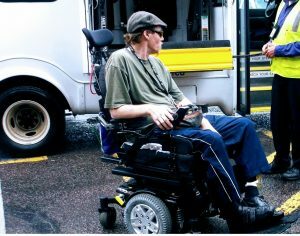 Speciially equied vans or buses can transport people in their wheelchairs when they can’t get into a regular car or drie themselves. Many people who depend on wheelchairs are able to drive. Please do not park on the yellow lines where ramps can load or unload a wheelchair. I had been hit by cars when I was in the cross walk legally. All 3 times I was hit by cars the driver may the bad choice to hit and run. I took months for me to recover from injuries. I am grateful I was the victim not the irresponcible drivers who hit me.One location where I was struck and injured has had fatalities. I survived the accidents when others at the same intersection did not. it is not worth risking anyone’s life when you can’t drive safely,yet, people drive when they should not. Walking can be a very healthy option with it is safe to do so. Reserve a City para-transit ride for persons with disabilites. Please note: I live in Colorado, currently. I have friends who live in the largest cities in the US where the transportation system is different. Most of my East Coast freinds don’t need to own a car either. They may take a sub way or a train or hail a cab. I have no idea how people in wheelchairs get around in Chicago or New York. This post will give you a general idea of alterntive transportation in many generic places in the US besides walking, riding a bike or rowing a boat or parachuting out of an airplane. Where I live and have lived, these 7 ways to get from here to there are viable options and I am not knocking them. Public transportation beats walking 10 or 15 miles in the elements. I have to be honest, non of these options are comparable to grabbing your own car keys to jumping in your own car when something comes up. WARNING! Drivers who text and drink or drink and drive are hazard to your health. For some adults, using public transportation has negative connotations. I want you to know that there are alternatives methods of transportation that really aren’t as bad some some older folks think. But, you may as well move a moutain from one coast to the other: it would be easier than trying to change a mind that is set in its ways. My late father drove a car up and till few months before he passed away at age 90, refused to accept the fact they should no longer drive a car even when we knew he couldn’t see the road. He started riving a tractor in the corn fields. Not driving meant ‘giving up on life” to him. I had a neighbor lady, Rose, who was still driving in her 80’s. She only had one working eye and she drove like a bat out of Hell to say the least.. The police pulled her over often. She talked her way out of tickets just as often. Last I knew she was still behind the wheel tho’ many other neighbors suggested she could use the city bus like they did or use paratransit.. Rose was adamant that she would not ever use public transportation because…Rose said and I quote “ I do NOT want to ride with prostitutes.” I will leave Rose’s illogical quote at that except to say this this: many older folks have misconceptions about certain things. Far be it from family to change their thoughts. Keys may have to taken away to stop an elder from driving. No one ever wants a parent to be MAD at us, now do we? IF you live a reasonable distance that is “walk-able” to the nearest bus stop. In case you are someone who never walks any farther than a parking place at the mall, I have news for you. It may only take a few minutes to drive a mile at 35 miles per hour. But people don’t walk as fast as car can speed. Sotimmes the excuse for not taking a bus maybe that someone is being lazy. Then again, there may not be access to a bus stop.
. When catching a bus, it is wise to give yourself and extra 10 minutes to get to the bus stop early. I personally allow a minimum of 20 minutes for an in city mile with no streets to cross, plus taht extra 10 minutes. It is all to easy to miss a bus by as little at 10 seconds. Then you may have to wait as much as an hour to catch the next bus. What if you depend on a wheelchair? Justt because you use a wheelchair does not mean you can’t drive. I know plenty of people who can’t stand any more but they can still drive a van specially desgined for their needs. It all depends on the idividual.. Most city buses are wheelchair friendly. They have ramps that lower to the sidewalk to allow a wheelchair to easily roll on. For those of us who can’t step up to high, the side of bus can lower as well. Wheelchairs can be anchored to avoid tipping over. Most city buses do not have seat belt for passenges. ( If you ride Grey Hound Buses for longer trips, yes, they do have seat belts and maybe in a porta potty on board. But when your a city bus, be sure your go potty before you eeet on the bus. The driver will not pull over for a personal pit stop. 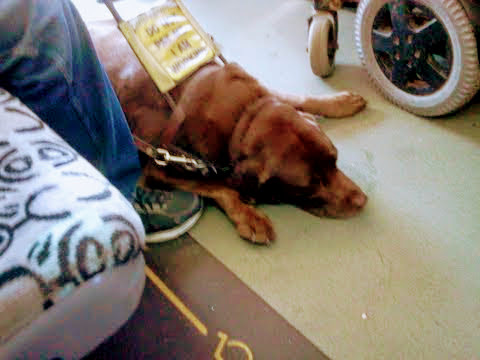 I took a pciture of another person;s service dog on the city bus. The wheel on the right is my son’s wheelchair wheel. What you can’t see is my son;s service dog sitting in front of the wheelcahir on the bus. Service dogs are allowed on buses. Pets are not allowed. A sevice dog must be trained to be under control at all times on the bus. Se how the dog is calmly resting? The city buses have funding for reduced rates for qualified people with disabilities including those who depend on wheelchairs. Wheelchair spots on a city bus are often limited to 2 spaces. 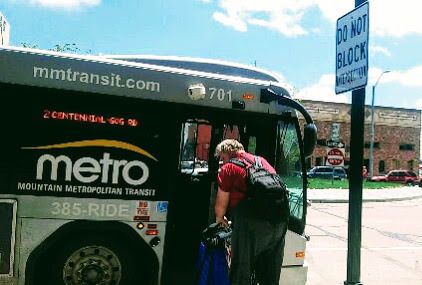 Although riders with diabilites and elderly have some priority if the bus is already packed, there may not available space to get the wheelchair on the bus. City bus transfer station. 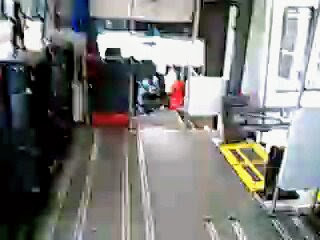 It can be very busy when buses laoda dn unlaod. When waiting for your bus it can be nice to meet new people. 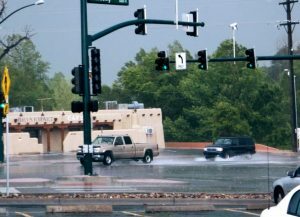 Safety will depend on the area or city your are in. When the does the first bus of the day come by a particular bus stop? Does this bus run on weekends or holidays? What if you work on weekends or holidays. How will you get to work? What is the fare and how many transfers will it take to get where you need to go? Is there shelter in time of a storm? This photo was taken while I was waiting for the bus. se the city bus for transportaion is affordable way to get around town. Bu, when the weather is bad , not evey bus stop has a safe covered shelter. Bus will run late when the streets are flooded. What happens when a bus break down? What happens when your first bus is late? Will you make that last bus in time or will you have to walk the last 5 miles home in the dark? How many groceries can you carry on the bus? Then how far do you have to walk home with 25 or 50 pounds of groceries? Sure, a cart on wheels is good to have, but, not when the bus is standing room only. Go home from shopping during non peak hours. What if you have to take a bus to drop a small child off at day care before work? Then you wait for the bus or 2 or 3 to take you to work.? Then reverse the pick up and go home? Transpratiaion will take up a lot of time. What happens when the city bus does not serve the area where a specialist doctor has their office? How do you get to the hospital when you fall and break your arm at 11 pm? Or how to you home from the ER when you are released at 2 am? Have an alternate method a transporation figured out ahead of time. Bus schedules do not always accommodate work schedules. 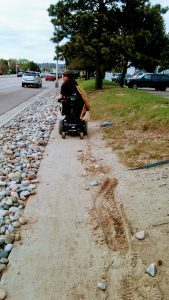 Getting to a particular bus stop is not guaranteed to have wheelchair accessible sidewalks nor curb cutouts, nor safe place to cross a street. 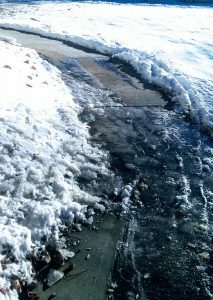 Although’ most cities have ordinances such as home owners shoveling snow off the sidewalks not all side walks get shoveled. Not every car gets parked legally, either. People leave bikes lying in the pathway. A person who can not stand has no way to move a bike or a toy off of there only sidewalk on thew way to bus stop. These are barriers to mobility especially if a person uses a walker, a cane or a wheelchair or has visual impairment. Carelessness of blocking sidewalks happens all too often which will hamper a disable person from using public transportation. City buses can run every 10 or 15minutes, every 30 or every 60 or just on limited hours. Be sure to check with your local bus line. Never assume that is you stand at a bus stop a bus will come. Know what he fare is before you get on the bus and have your fare ready. Look carefully for the BUS ROUTE NUMBER that will appear on the outside of the bus. If you are unsure of yourself. As the driver, especially when you are a newbie to riding the bus or a particular route. If you get on the wrong bus, it is your own fault. Most drivers are more than willing to help you ut they do hae to keep their focus on the road.Most other passengers are more than willing to fellow passengers, from my experience. Pick up a printed bus schedule at the front of most buses. Google your local transist website. Call the bus station for a live operator You may have to leave a message with a call back number. Some cities have an app to access from your phone..
Know the cross street to where have to get off the bus before you get on the bus. Again, other passengers more often than not be willing to help you. This helps keep the bus running on time. Have your belongings gathered up and ready to leave the bus with you. Don’t make the bus driver wait for you to get your act together. Everyone on that bus wants the bus to run on time not wait for unorganized people… Fellow passengers just might over step bounds to “help” you move faster so they don’t miss their transfers on account of you..
City ordinces requre sidewalks to be in better condiiton than this side walk was. This is only of the many barriers to mobility that hampered a numer of people in wheelchairs to access a city bus.There is wall on the right adn city pipes on the left that you don’t see. 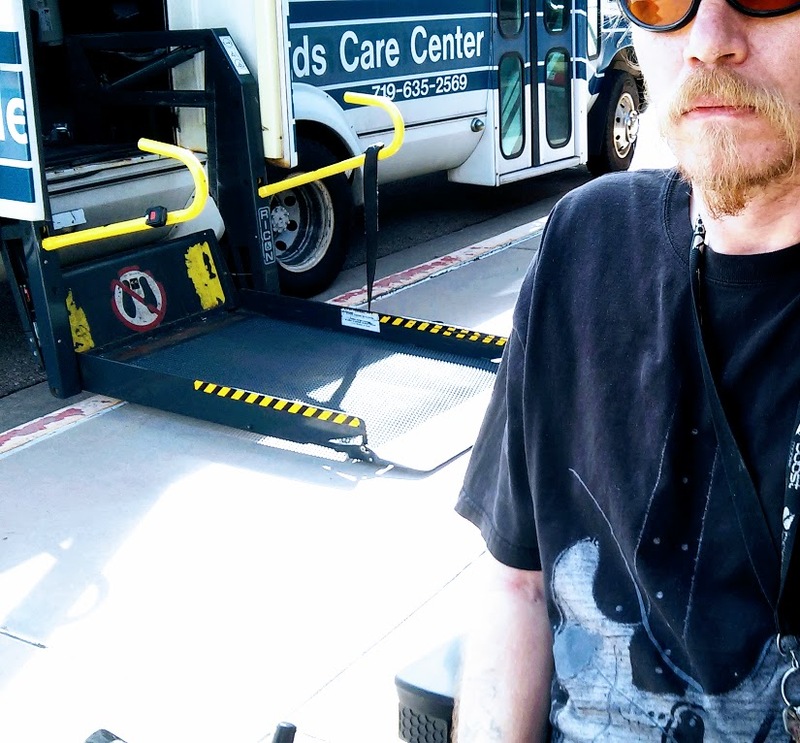 Picking up a wheelchair passengers and older folks takes extra time to load and unload. ( Be patient, as there is funding for them because of the disaiblity and that helps keep your bus fare lower than it woudl be. If you are sitting right behind the driver, please be aware that the front seats are reserved for the elderly and disabled. If you don’t need that seat, get up and move voluntarily. Move your feet out of the way so the wheelchair doesn’t roll over your feet. It is a cramped space that is not easy to maneuver in. I have no idea what a bus in your city will cost. The price varies depedning on funding. Call your local bus station. Many college campuses has FREE shuttles to go around the college campuses. Other near by bus stops may be the city buses that charge a fare. Find out if there is a pre-paid pass or does the collection box take dollar bills or coins for the fare. 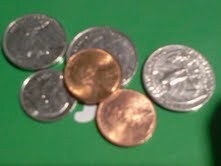 Have your change ready. Bus drivers do not make change. You will told to get off the bus if you do not have the fare. People that stand there digging in their pockets make the buses get behind schedule. Don’t expect other passengers to help you out tho’ often time people do pay it forward. They are difernt bus fares by age. Babes in arms and tots are free. By the time ahcild stats kindegarten there is failry low fare. Students get a good rate as well as those who have a Medicare or Medicaid Card. Where I live I have permanent plastic ID pass for the para- transit which allow me to take the city bus for free. As the driver for a transfer when you get on the bus. Then use your transfer with in the limited time allowed. Ask about a Day pass fo unlimted use for the entire day. That may save you money depending on how many buses you need to take. Many buses do have security camera running for your safety. So if you try to argue with the drver about the fare or refuse to pay, Big Bro is watching. 1) Should you ask someone for a ride: Most family, friends and neighbors are NOT sitting around waiting to give you a ride. And there may be some consequences the driver may not appreciate. TORKLAW WHAT ARE MY RIGHTS AS A PASSENGER IN AN ACCIDENT? Passengers take a risk everytime they get into a vehicle. If you are a nice person who is willing to drive freinds aroudn, you eteter kwown what your legal responcibilites are to your passengers should your get into a traffic accident. Be informed before you ride with someone and or before you give some one ride. I love to typo too much in one post to keep my ideas to a minimum so here are some links below to get you started thinking on a few of all the 1000′ of possiblities when giving or asking for a ride from a casual friend. Sure, in the event of a big emergency, your family and friends will move heaven and earth to come to your side. But don’t expect your family and friends to foot the bill everytime you want a ride. As a general rule it costs at least a dollar maybe more lately to start an engine. Gas is over $2.50 a gallon. I strongly suggest when you bumb a ride, pitch in at least $5.00 for expenses on a short trip. A volunteer driver who gets money to take people from place to place really should ask their car their insurance agent about the status of theri insurance when giving more than an occasional ride and how taking payement will change things you never thought of. Just because some one owns a car doesn’t mean they are not struggling to pay insurance; up keep and repairs on the vehicle or even have the money for gas. Does your neighbor have child to get to and from school on time? If so , those children are the priority, not you. Not too many people can expect someone to come to rescue you every time “you” need a ride. Just because some one has a driver’s license doesn’t mean they don’t have restrictions. If you want to be chauferred, then get rich and hire a personal driver for you Rolls Royce who you can pay to sit and wait for you when ever your need a ride.SNARK! 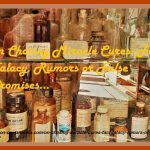 Disclaimer: Malika Bourne the No Non-cents Nanna does not give legal advice nor endorse the company’s associated with the inks below. 15 Annoying Things That Happen When You’re The Only One Of Your Friends With A Car Having a car is a blessing AND a curse. 2) Take a TAXI CAB I love the convenience of a taxi. But I may not have the fare in my wallet or back account to pay the price of convenience. But, my son depends on a wheelchair. The kind of chair he needs can’t be folded up and put in the trunk like some folks’ wheelchairs can. 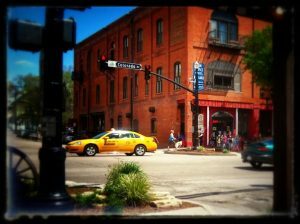 Where we live in Colorado there area actually a few, very few, wheelchair accessible taxi cabs which we love. Those cabs can be booked solid. I have my own regular taxi driver who works my area of town. One day, I waited 2 hours to get a taxi to go home. There was not easy access to bus at the time. I did not have time to schedule a ride. When no taxi came I flagged down a Yellow Cab driver named Rick. I can call Rich to by pass calling the taxi company. I pay full rate and a tip with much gratitude for the safe ride at the last minute. Once when I needed an emergency trip to the hospital ER and had no money, until I got paid. My favorite driver let me pay him a few days later. He knew where I lived and I generally tipped him…he knew I would settle up fairly. I did. Rich has many regular clients in the area of town he works. Some of his clients he has had for well over a decade. He even grocery shops or runs errands for his elderly passengers whom he has driven for years. They pay him of course. A taxi cab is a service business. The upkeep, fees and price of gas that taxi drivers have to pay to keep their business is running is outlandishly exorbitant. While your friends or family are not sitting around waiting to give you a ride, Most cab drivers have to sit and wait for a paying passenger. The need for a taxi can be a feast or famine way to make a living. So, yes, the price of a Taxi is costly for the customer. I am grateful to my taxi drivers who picked me up when I missed the bus and I’ve been standing in the rain or snow with no shelter. But, I may not have $10 or $60 in my bank account to pay for ride. Cabs will start of with something like $2.50. Then the meter starts clicking even with sitting in traffic. The milage is also figured into the fee. When I take taxi 2 miles to a doctors appointment or get my blood drawn at the closest hospital with tip I pay the driver $10. You can pay via plastic if you don’t have cash..That is problem for many elderly and disabled people who need to get to work or a medical appointment but theri income is limited. They may have to make of choice of buying healthy food to eat or keep a doctor appointment. Of course there is UBER –cheaper than a yellow cab which has grown in popularity. I have an opinion which I will keep to myself. Google UBER to see what juicy tid bit you can on the uh- ohs that company is making. Beside, my regular cab drivers are worth their weight in gold*. In my opinion think you get wathayour pay for. But if you persnally know and trust a driver, hire them. Is an affordable option for the disabled! Often these van are Federally, State and Locally funded to help absorb the costs and driver salaries and benefits. In order to ride the vans for the elderly or disabled, a person has to qualify. Have to live with in the service area. Apply for an approved pass to use the para transit annually. There are some draw backs and inconveniences to depending on para-transit vans that one has to adjust to. Must schedule 24 to 72 hours Iinadvance. Know the address you are going to and it must be in the service area. Your scheduled pick up time is called a WINDOW. Passenger must be waiting at the curb 15 minutes before the WINDOW opens ad up to 15 minutes after the WINDOW. 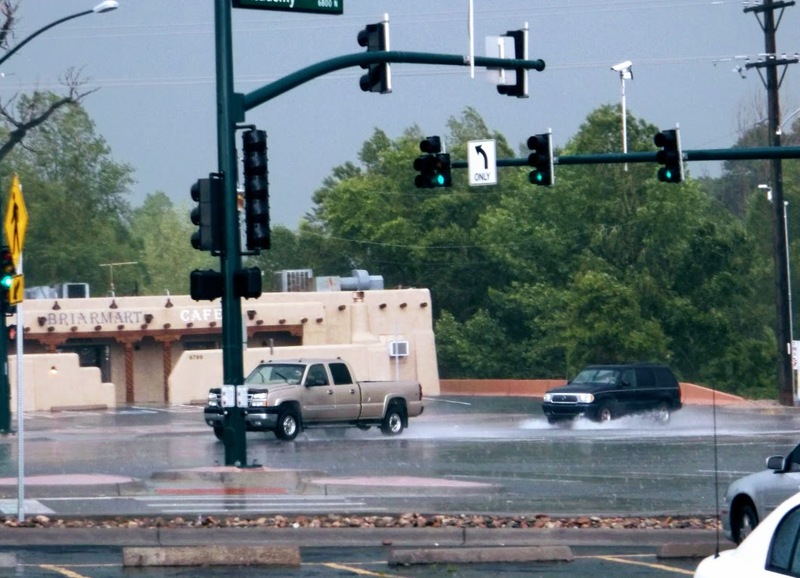 This means you can be standing in the rain or snow or extreme temperatures for 30 minutes. If you are not there when you are supposed to be you can get left behind. ** We have esperienced up to a total hours of wasting time waiting out side altho we are gratefull to have a ride. When a qualified care giver has to go with a client, they may not get paid for all that time. Shared rides. A rider may have to be stuck on a van for several hours while picking up and letting off other passengers. Wheelchair passengers takes extra time to load/ unload and get strapped down safely. 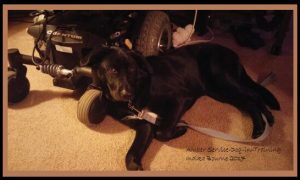 If you need a personal care attendant ** or have a service dog you must reserve space for them on the van as well. A van can be filled to capacity. Senior Citizen Van or City para-transit van? When available a city wide transportation system for seniors and disabled adults is affordable safe way to get from here to there safely! 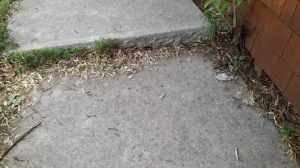 Most are wheelchair accessible with a ramp for those who can nnot manage to walk up steps. When getting certified to ride one of these vans you will need to let the service know that you will have Personal Care Attendant pca and or a **service dog accompany you. There is no charge for the pca. Keep in mind that there has to be room for everyone on each scheduled ride. These specially funded vans area god-send to us older folks who are reluctant to give up driver when we “should” stop driving. Most baby boomers and our parents are fearful of loosing our independence and need for socialization. Some seniors change their minds about not wanting to ride the senior van when they get to spend time chatting with peers. Depending on where you live, there may be the same of different transporting agency for the seniors and the younger disabled. It will depend on how the funding grant was written. Reservations are required any where from 24 hours up to a week or two in advance. This advance reservation allow the service to schedule drivers for the routes needed. **Will you need a personal care attendant pca and/ or do you use a service dog? An attendant that goes with a disabled person has to be justified and pre-certified as needing to assist the disabled. My son requires a pca to go with him. Most riders do not need intervention assistance from a care giver in route or at an appointment. Drivers can NOT do any pca cares, only secure the client in the van and drive the vehicle. My son has several other pca’s, besides me, who expect to be paid to do the job. Those pca’s have a life beyond riding for hours on a para transit van. ( An example: Getting kids form school when the last bell rings). Most of the time, we don’t schedule an employee to go with my son. I volunteer the bulk of the time uncompensated. At least I know my son is being cared for. ( A taxi ride saves us about ½ the time. Our taxi drivers have been more willing to pull the cab over when necessary or to control the heat in the cab,. But, with shared rides, you get what you get and the drivers are not willing to pull over. I only hit the highlights and drawbacks of transportation options. But….What happens when someone can’t use these services? Some out patient facilities may or may not have a van that pick up clients. Some one who needs rides to short term “rehabilitation” therapy may not be able to use their own private car to get from here to there for “rehab”. Medicaid and some insurance may or may not pay for medical transportation. I personally have friends who saw the needs of those who fall through the crack of affordable transportation. I will share an interview in an upcoming post. When is a Dog a Service Dog OR an Excuse?